Cinema 5D Interview With Vincent Laforet. Vincent Laforet was gracious enough to let me interview him while he was prepping for a big shoot in Italy. His crew was hard at work prepping all of the equipment for the trip. There was a ton of gear all over the place. A Full set of Zeiss CP.2 Primes and the new Zeiss 15.5-45mm Lightweight Zoom. Prior to the interview Stacy, the lens technician over at Birns and Sawyer, Hollywood hooked me up with a Zeiss CP.2 Prototype 50mm Macro lens. Prototype #003 (See Photo). This even got Vince’s attention. I used it to shoot the single of Vince in the interview. I had met Vince at NAB and wanted to follow up with a more relaxed interview here in Hollywood. He was kind enough to break away from the prep and answer a few questions. I really wanted to stay away from gear talk and focus more on his process. He gives us great insight into how he makes the magic happen. Thank You to Vince and his Crew for taking the time for this interview. 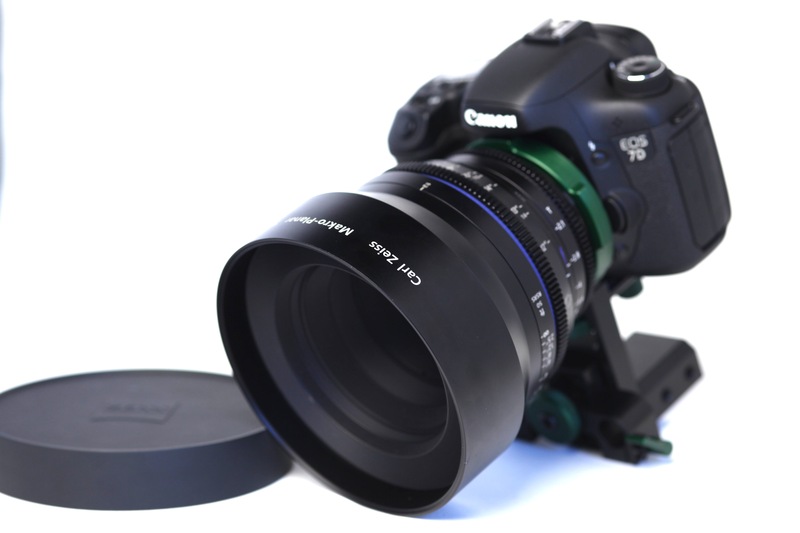 The Interview was Shot with this Hotrod Cameras PL 7D and Zeiss Cp.2 Prototype 50mm Macro Lens.